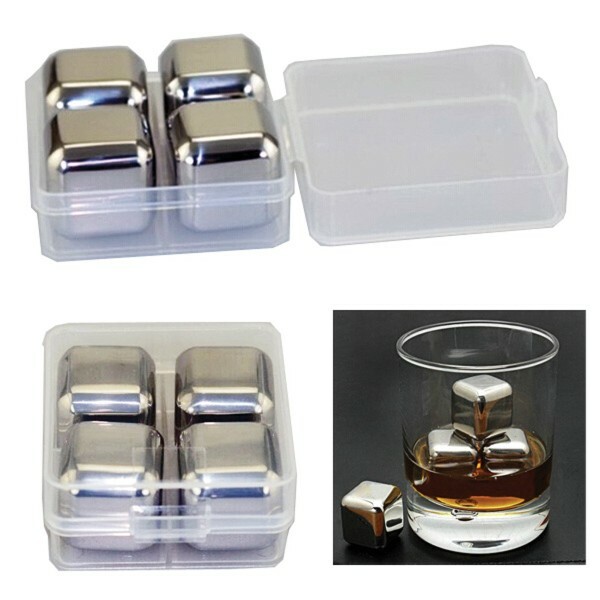 Stainless Steel Chill Cube. Made of food grade 304 grade stainless. Just keep them in the freezer and then drop into your next cup of wine. Ideal product to keep wine at the perfect temperature. Perfect giveaways for the beverage and wine events. 4 pcs as a set packaged in to plastic case.